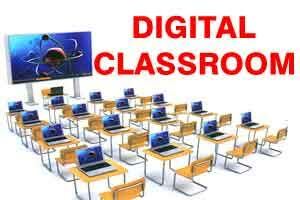 State health minister Kamineni Srinivas of Andhra Pradesh has confirmed that Rs 30 crore has been released by the government to boost up infrastructure, including setting up digital class rooms and library in state-run medical colleges. In addition, there is focus on setting skill development labs in these medical colleges. The minister also implied that 8000 students will also be receiving tabs distributed by the government in 11 government medical colleges shortly. As a part of the government’s priority, there will be a digital library in-housing over 500 books in each college. In a recent event, the minister was reportedly inaugurating the newly constructed students hostel attached to the Guntur Medical College (GMC). During his speech, the minister has implied that the government is committed to improving medical education by spending more money, directed towards improving the patient, doctor ratio here. As reported by TOI, Minister said that they have spent Rs.7 crore to build new hostels for GMC students and directed the department to provide similar facilities in the remaining 10 government colleges. He said that they have sanctioned Rs.60 crore to Government General Hospital, Guntur for renovation of old buildings and purchase of new equipment. He said that they would spend about Rs.20 crore each to set up nursing college and maternity hospital attached to the GGH. He said that they have spared Rs.7.75 crore for senior resident women’s hostel and Rs.10 crore for service block. Minister had also promised to provide a new bus to replace the old bus for transportation of students from hostel to the college. Local MLA Modugula Venugopala Reddy, Director of Medical Education, Venugopala Rao, GGH superintendent, DS Raju Naidu, GMC principal Subbarao, DMHO Padmaja Rani and AP medical council chairman Y Rajarao were present.